Windwood is a relatively small residential development that Neal Communities opened it in 2015. This Lakewood Ranch-based builder though has long been grooming to develop this property located just off the western flank of Pinebrook Road. In 1999, it filed an application and secured approval for the annexation of Windwood to the city limits of Venice. Neal Communities’ interest in developing Windwood owes much to its site’s proximity just south of the major South Sarasota corridor of Laurel Road. Interstate 75, which provides convenient access to points of interest northward, is also only a short distance east of this development. Although this community has a Nokomis address, its annexation to the Venice city limits brings its available residences amongst real estate listings of Venice homes for sale. Notably, the Venice neighborhoods around Windwood include the well-established golf communities of Waterford and Capri Isles as well as the new development, Toscana Isles. 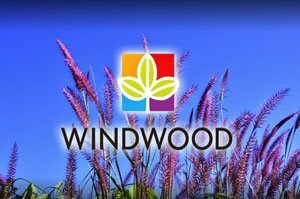 Neal Communities developed Windwood as a gated community with just 90 home sites, nearly all of which have been sold entering into 2018. Most of these home lots were platted around the property’s three lakes, while the others back up either to lush nature preserves or the small pond in Windwood. All told, more than half of this community total area of 46 acres has been set aside for its water and preserve features to provide its residents with a serene and refreshing living environment. Neal Communities unveiled five models as its lineup for Windwood homes for sale: the three-bedroom Applause, Expression and Tribute designs, and the four-bedroom Ovation and Encore. Their architecture exudes a Mediterranean flair, with rich detailing to include covered porches, spacious foyers and scenic windows. The Applause design, priced in the $300s‒$400s range, is one of the bestsellers in Windwood. A rendition of this 2,110-square-foot model notably bagged the Best Kitchen and Best in Architectural Detail during the 2017 Sarasota Manatee Parade of homes. Prospective buyers eying larger picks amongst Venice homes for sale would be drawn to Windwood’s two-story Ovation having a floor area of 2,900 square feet. In addition to four bedrooms, its square footage has been laid out for three full baths, a loft, a guest bedroom, and studio. It also flaunts high ceilings, gourmet kitchen, walk-in closets and a lanai, features that fully justify this home’s valuation of up to the $400s mark. The price quotes for Windwood homes for sale include base home site, with premiums pegged for sites with lake and preserve views. This community has no CDD fees, and its homeowners’ association charges a reasonable HOA fee. Windwood’s South County location is ideal for families and first-time homeowners. Its North Venice area is experiencing exponential growth in recent years, as many of the last developable land parcels in South County are in this locality. 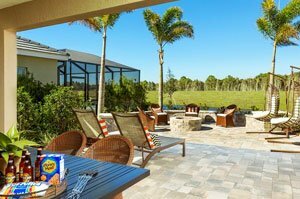 Existing amenities around Windwood are already plentiful too, starting from the nearby golf and country club of Capri Isles and Waterford. 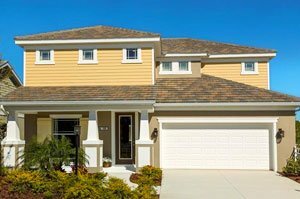 This community, in addition, is convenient to the city of Venice, Nokomis Beach and the Myakka River State Park. Together, they combine to provide the various life and leisure activities that help sharpen buying interest on Venice homes for sale. Below are the current real estate listings available at Windwood.